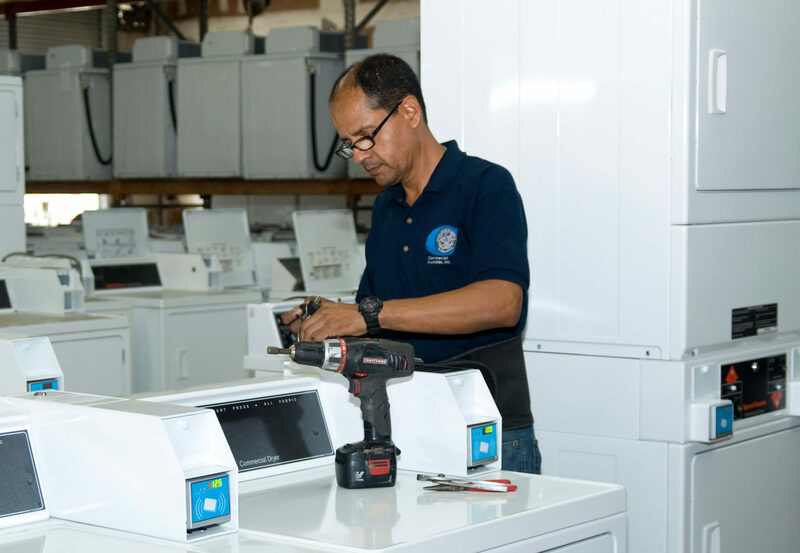 Since 1972, Commercial Laundries has been a family owned corporate organization employing 30 plus employees, each of whom average about 15 years of industry experience. We are proud of the fact that we have one of the lowest employee turnover rates in the industry, with a span of about 10 years per employee. We appreciate our employees and their commitment to help make us one of the top leaders in the commercial laundry sector in Florida. Commercial Laundries is a client-focused company dedicated to providing you with the quality products and services that your business depends on to thrive. With 50 plus years of laundry industry experience, Jack is intimately familiar with the issues and operation of the laundry business. Nationally renown, Jack offers his clients and team a sensible, straightforward approach to business. As a founder of the Florida Trade Association of Laundry Operators, Jack serves on the national trade association board of directors and has served as a past president. Jack directs our day-to-day business alongside his son, John “Jack” Jr.
A second-generation family member, John grew up in the commercial laundry business and came to Commercial Laundries as a teenager to work a summer job. With more than 25 years of experience, John is responsible for the growth and strategy of the company, working alongside his father, Jack Sr.
Adam has been with Commercial Laundries since 2003, starting on the ground floor handling deliveries and learning the maintenance side of the business. Over the years, Adam worked his way up through the company and today he is responsible for overseeing the day-to-day operations and the sales department. Gene has spent most of his career in the service industry. Prior to joining Commercial Laundries, Gene was a senior member of Price Waterhouse Coopers and was responsible for the operation of the firm’s largest practices, working alongside clients Quaker State, Heinz, Alcoa and Rockwell. Gene is also a certified CPA in the states of Florida, Pennsylvania and the District of Columbia. With more than 15 years of experience as a financial controller and CFO for small- to mid-sized companies, Hylton has been involved in several asset acquisitions and corporate mergers. He has a strong operations and management background, as well as business development. As Director of Finance, Hylton’s core focus is to develop the IT infrastructure to help simplify the daily operations and checks and balances. Hylton is also a licensed CPA in the State of Virginia. A second generation family member, Paul is responsible for overseeing all activities related to the company’s collections, including maintaining and structuring the routes in the most efficient and economical way. A second generation family member, Gary works in the collections department, managing the collections accounts. In addition, Gary is responsible for security of all property.